Another weekend, another trip to Victor! 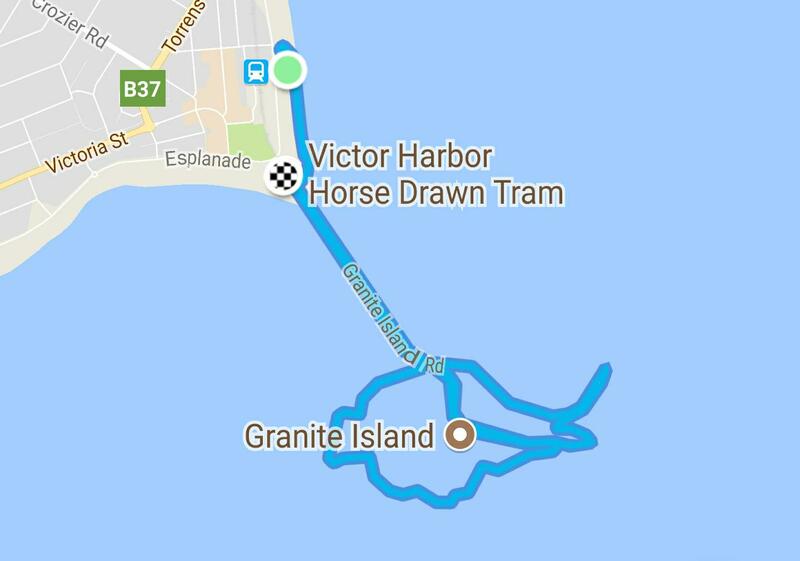 This time for The Granite Island Run. This event has been going for a few years, but this was the first time I’d done it. 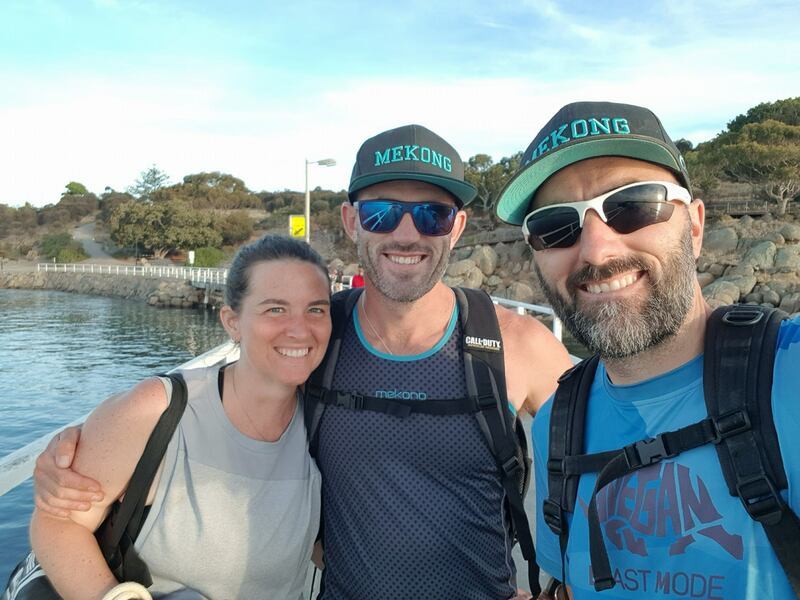 I liked the concept – running from the mainland across the causeway to the island, around the island, and back to the mainland. I’d never done a run like that before! 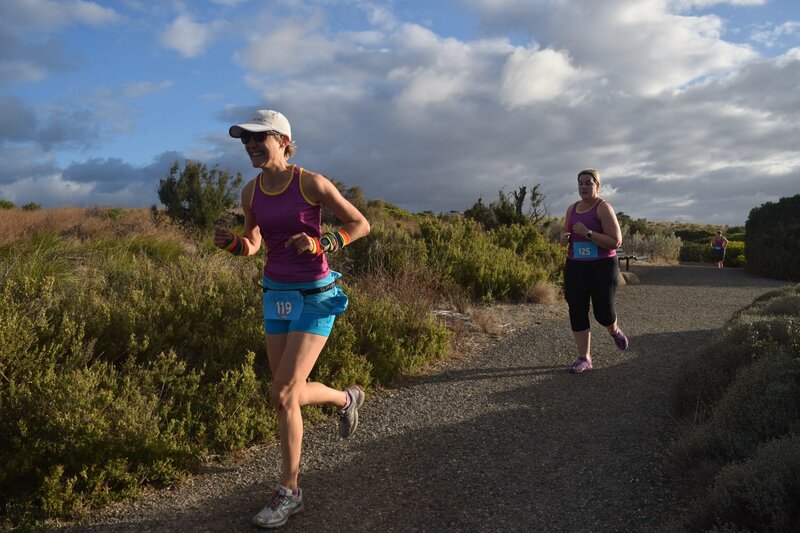 The 10k was the same course as the 5k, only when you returned to the mainland within sight of the finish line, you had to make a U-turn and go straight back across the causeway and do another lap of the island! I’m not a huge enjoyer of multi lap races (unless it’s a short loop and shitloads of them – go figure!) so where there is a choice of one lap or two, I’m almost always going to go with the former! 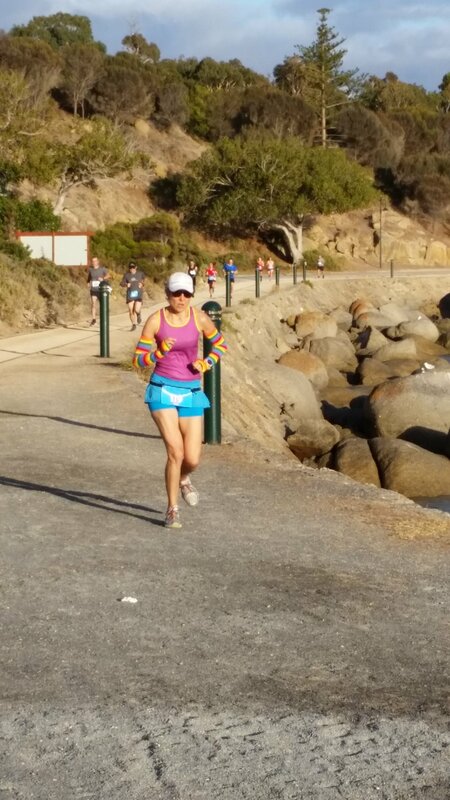 It was a cool morning so I decided arm warmers were definitely required, and I went with a slightly modified version of my Boston Marathon kit – I omitted the calf sleeves and instead of wearing the top with my name emblazoned across the front, I wore the same top but WITHOUT the name. I thought it might have been too much big-noting to rock up with my name on at a smallish event where I probably would know a big chunk of the runners anyway! I left home around 6am, arriving in Victor a touch before 7:30. It was quite cold so I had a couple of extra layers on while awaiting the start! I was happy to see some discounted event tees from previous years, at the bargain basement price of $10, so of course I had to buy one! A number of friends from Adelaide had made the trip down for the event, and many of them had stayed overnight and made a weekend of it. It’s always nice to go to a run in a different location and see so many familiar faces there! We all made our way over to the start line where the 10k runners were about to start. 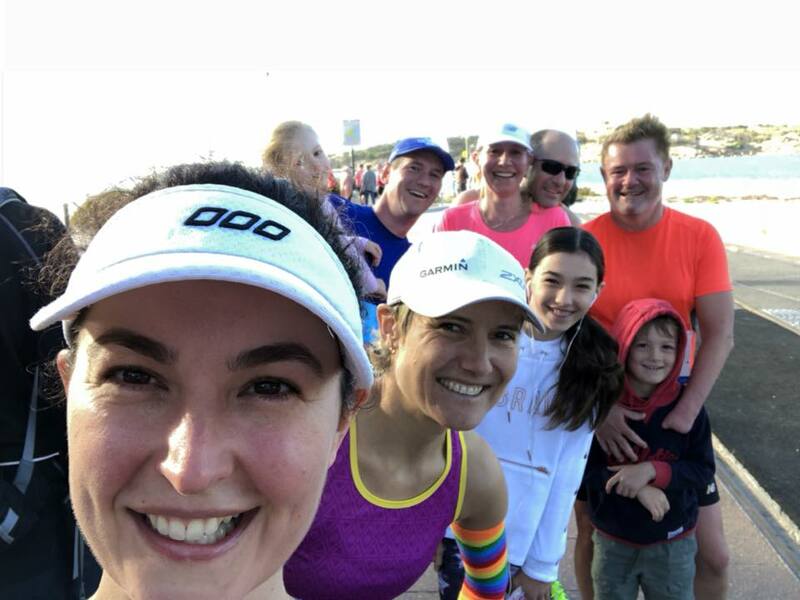 The run started with a quick out and back, along the waterfront and onto the causeway where the runners quickly became little dots in the distance! Ahead of me at that stage was a young girl called Matilda who I had heard about from Simon the week before, apparently very fast! There was also another girl ahead of me who I passed on the causeway, so I knew I was in 2nd place. Early days, just about to run out and back along the jetty. Thanks to Ian for this photo! The first highlight of the run was when we ran to the end of a jetty, turned around and ran straight back. As a smallish event, I was a fair way behind the next person, so it wasn’t clear until I got there, where the turnaround point was. There was a turnaround arrow right near the end of the jetty, with a very helpfully positioned ‘X’ (signifying ‘Wrong Way’) at the very end of the jetty. Pretty sure no-one was tempted to go that way but thanks to whoever put that there, it gave me (and others too, I’m sure!) a good laugh! Then the hard work began. A bit of uphill and quite a lot of stairs. I managed to run all of the hills but I did have to resort to walking about 3/4 of the way up the stairs. I don’t actually think I was any slower walking than running up the stairs! We started seeing some of the 10k runners (and Tracey!) – that was a nice touch, it’s always great to see other runners out on the course. Every time we came to a turnaround I had a look to see who was behind me. (Podium finishes don’t come along all that often, so I was determined to hold onto my place if at all possible!) The girl who I had passed to move into 2nd place, seemed to be relatively close behind me. Close enough that I wasn’t going to relax, or walk up any hills! Before too long the causeway was in sight – the finish line was near! On the causeway we hit a bit of a headwind, that was really the only time when the weather was a factor in the whole race, so you’ve gotta be happy with that! I had another sneaky look behind me. I couldn’t see anyone, so I thought I was safe. I crossed the line, just a touch over 27 minutes (my watch showed the distance as 5.38km) – ‘only’ just over 2 minutes behind Matilda in 1st place! Less than a minute behind me was Karen in 3rd – she was not the one I’d passed early on. All this time I had been looking out for the girl in the red shirt and totally had no idea that there was someone else pretty close behind me! I loved the course, such a unique event, and amazingly, for the second week in a row down that way, the weather was nowhere near as bad as forecast! There IS actually an island there. Strava makes it looks like I just swam 5km! The volunteers were fabulous – thanks to everyone who made this event happen! After the race I hung around the finish line for a while to cheer on some of the other runners. And be part of one of Ali’s legendary group selfies! As I was just finishing up my purchase I could hear applause – damn, nearly missed the presentations! 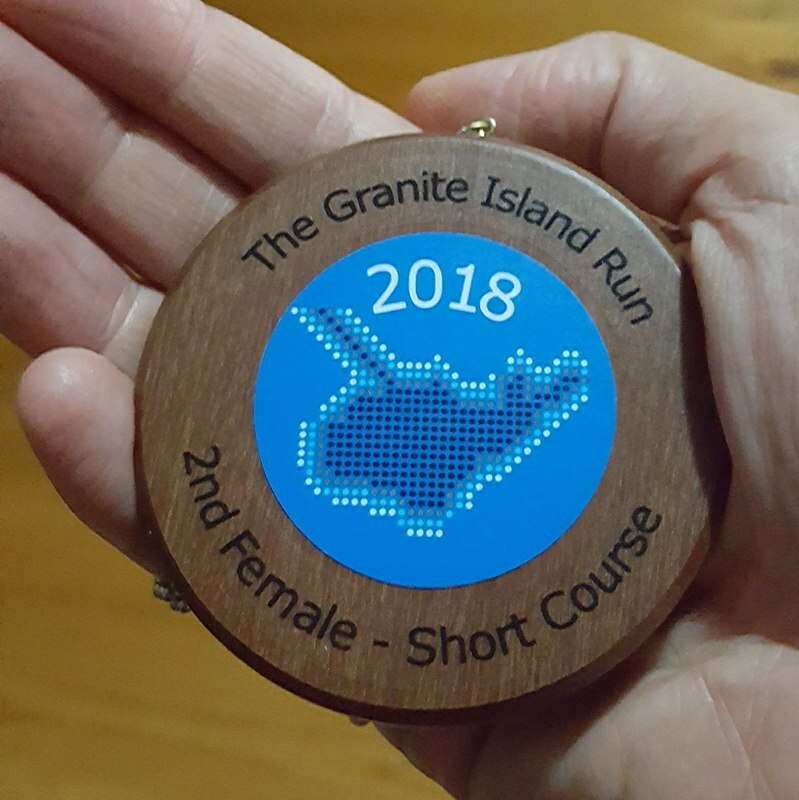 Firstly the placegetters in the 5k and 10k were announced (Adelaide friends Brody and Max both placed in the 10k) and the medals were really cool – made of wood! And then of course the real reason people were hanging around – the random prize draw! I was lucky enough to win a T-shirt from Mekong (lucky because the 20 or so people who were drawn out before me had already left, and you have to be present to win!) so as soon as the draw was over I went straight back to the Mekong tent to pick up a nice new T-shirt! So I did very well today, I spent $80 and got 2 T-shirts, a hoodie and a beanie! Next PostNext Tri, tri, tri again!